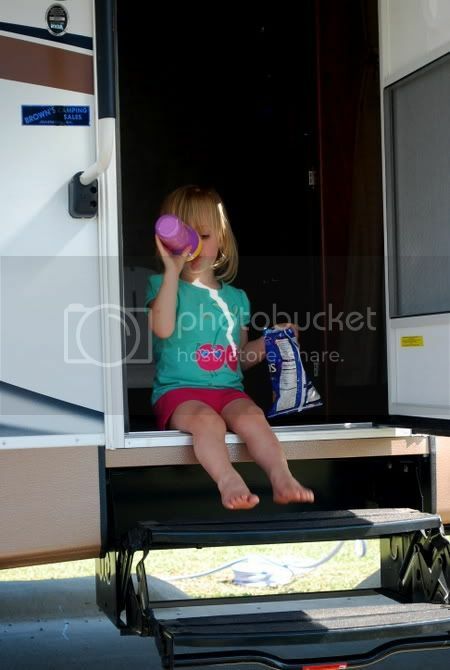 This past weekend, Olivia and I slipped away with Nana & Papa for a weekend of camping. This trip made me realize that I could seriously camp every vacation and be a happy girl. The funny thing is, I had never really camped before I started hanging out with the Mabrey family. I only camped once when I was about four and my dad was a boy scout troop leader at our church. One night in a tent though isn't really camping in my book. 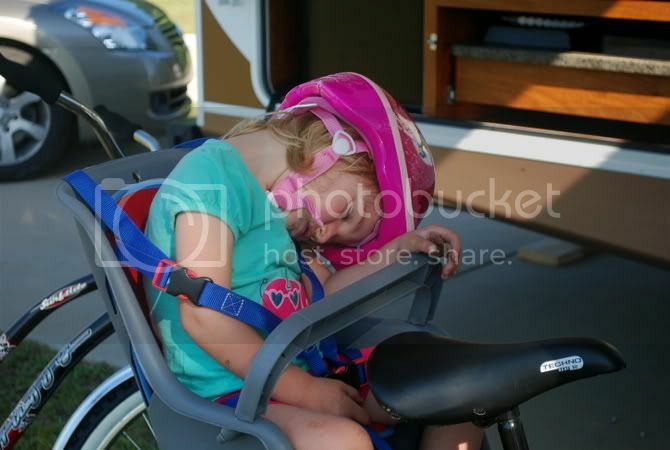 We've said for some time now that we wanted our kids to grow up camping. In her two years on Earth, Olivia already has three camping trips under her skinny belt and thankfully, she seems to love camping even more than we do. Since we were close to home, Dave joined us for a a few hours on Saturday afternoon. We missed him, but was glad for the few hours we did get together. Personally, camping is always the most relaxing trips for me. 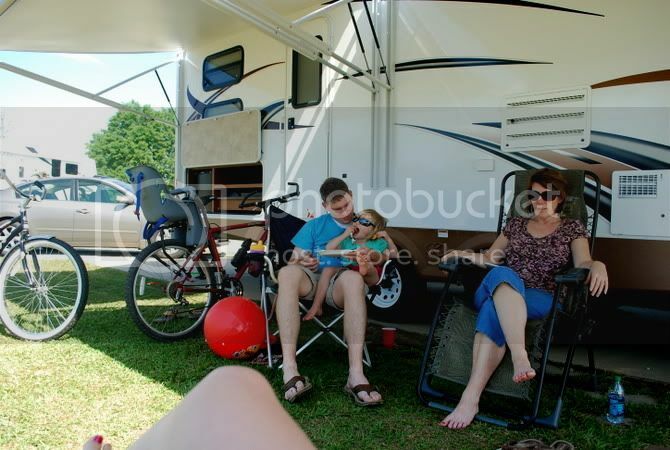 Whether we camp in the mountains, the beach, or down the road, our agenda is pretty much always the same. We ride bikes, we sit and talk, we nap, we eat, we read, and at night, sit around the campfire. I love the simplicity of it and I always come back refreshed. For some reason, the past few weeks, I had been irritable and antsy. This little trip seemed to come at the perfect time. I came back feeling like a whole new person. It might have helped that I may or may not have sat in a lounge chair reading the majority of the weekend while Olivia was being entertained by the grandparents. Either way, I'll take it. Did I mention we nap? bigger yay for OK napping! !